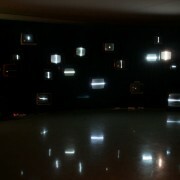 20 technically manipulated b/w TV´s produce an abstract audio visual composition. 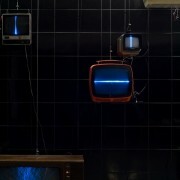 Each TV has its individual sound and is in this way part of the whole composition. 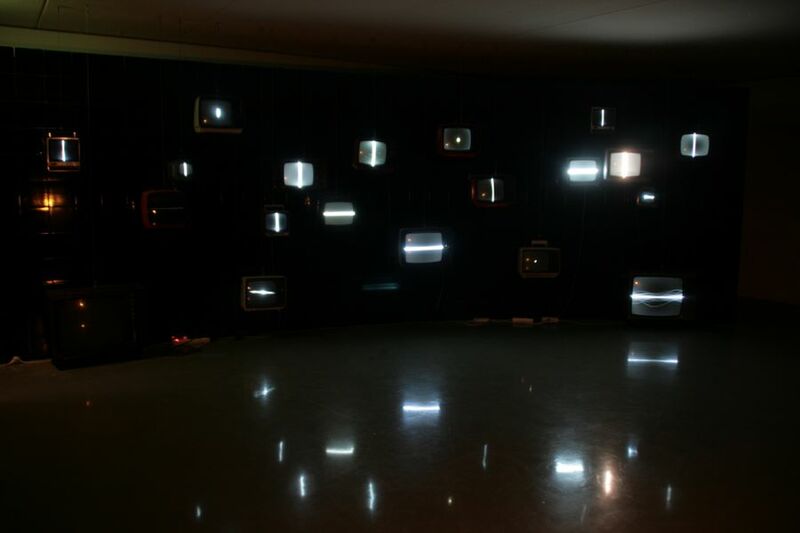 The sounds you hear from the TV´s are transformed to wave patterns (sine waves), which are shown on the screens. 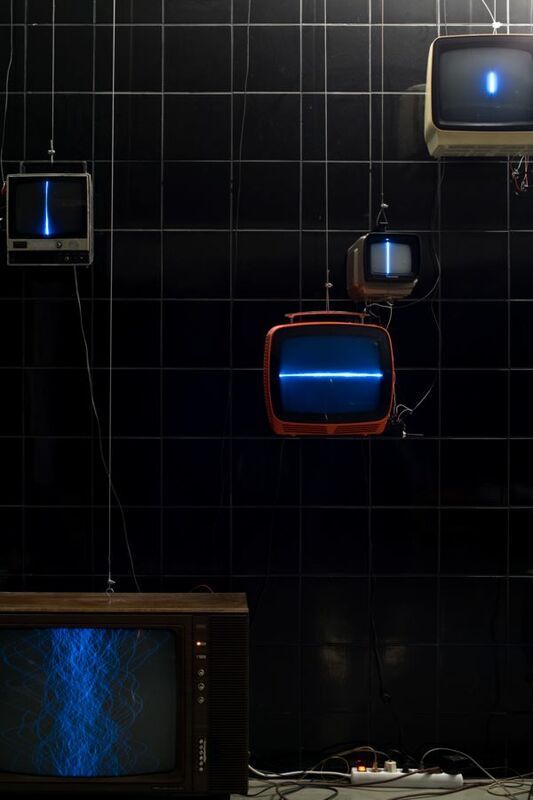 Because of the range of audio visual sources the viewers get the impression that the sound is jumping on the wall from TV to TV and they will try to follow the visualizations.